EXTRA CLEAN ONE OWNER LOW MILE FUSION WITH A CLEAN CARFAX. THIS GORGEOUS RUBY RED FUSION IS EQUIPPED THE WAY YOU WANT AT A PRICE THAT CAN'T BE BEAT. FEATURING HEATED SEATS, REAR CAMERA, ALL POWER EQUIPMENT, DUAL POWER SEATS, LUXURY PACKAGE, PREMIUM ALLOY WHEELS, SE TECH/SYNC 3 PKG, ETC. FIVE STAR SAFETY RATING IN A CAR YOU WILL LOVE TO DRIVE AND OWN. ALSO INCLUDES OUR EXCLUSIVE HEARTLAND FORD LIMITED LIFETIME POWERTRAIN WARRANTY FOR YOUR PEACE OF MIND. 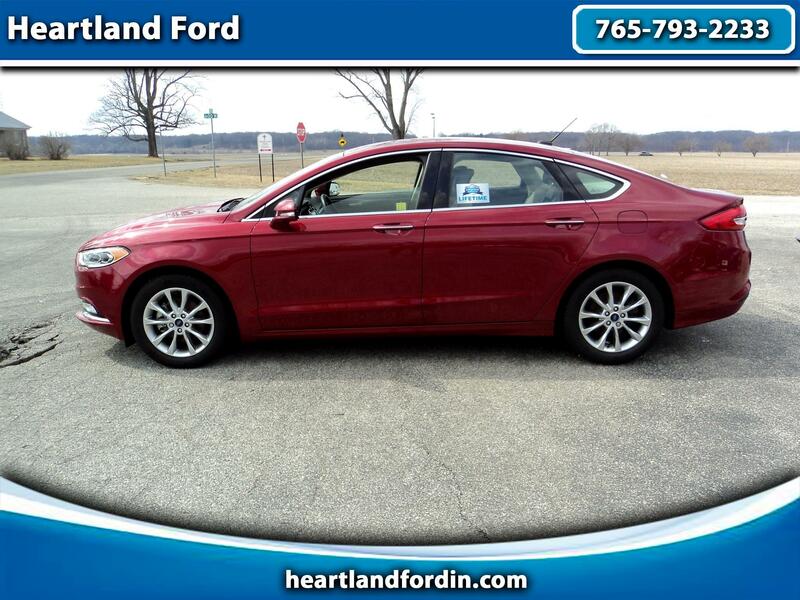 STOP BY TODAY AND EXPERIENCE THE HEARTLAND FORD DIFFERENCE!